A Whole Month In High-Security Prison – Enough! Max Zirngast has been under arrest for more than a month. For a bulk of that time, he was in the Sincan-2 High-Security Prison, which is 60 kilometers away from Ankara. Contact with him is difficult and strictly limited. The letters that he was able to mail around September 28th are arriving only now – and only those which were mailed to Ankara. Similarly, letters sent to him from all around Turkey are slowly reach-ing him. None of the letters that have been sent from abroad have arrived in his hands. 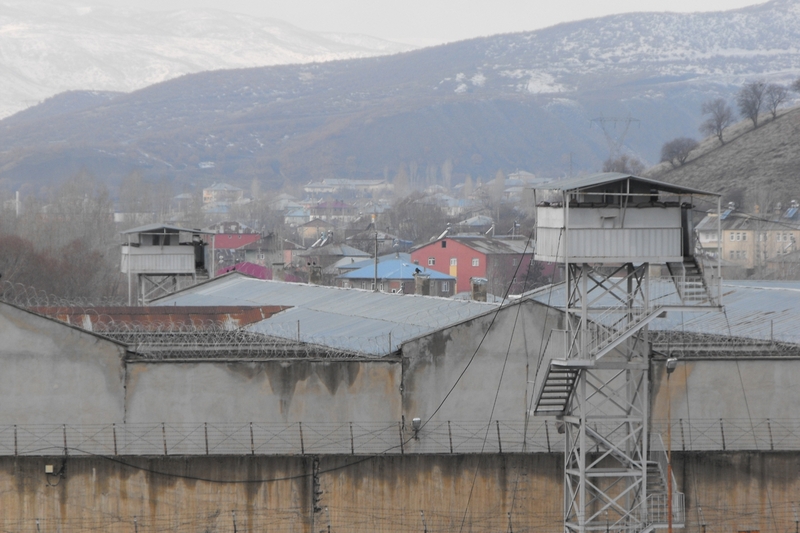 Attorney Murat Yılmaz told organizers of the solidarity campaign #FreeMaxZirngast that this situation has to do with the fact that Sincan-2 is a high-security prison. In other prisons it would be much easier. A ‘letter commission’ reads each and every letter, and reviews suspicious contents before it is delivered to the target. This pro-cess, said Murat Yılmaz, can take up to 30 days. According to the attorney, it helps to constantly and persistently ask where the letters are. Max requested that to be informed (through the lawyer) whenever a letter is sent from abroad, and exactly when it was given to the post. Thus he can ask the administration where the letter is and why it is not being given to him so that it doesn’t disappear. Max is now giving his own letters to the attorney so that the latter can mail them, which would shorten the time required. As the solidarity campaign we call on people to in-form us by e-mail about when and from where a letter is mailed to Max. For the time being, there are two channels of communication with Max. Since two weeks he has been able to phone his family members for ten minutes per week, which he has been doing. On the other hand, the attorney is visiting him every week for approximately an hour. In these meetings Max is prohibited to bring in paper, pen, or anything that had been written in advance, and he cannot also take the same things from his lawyer. Since the letters he sent were barely delivered (and with significant delays, if they were) and he is not allowed to give notes to the attorney during the meetings, we only have verbally transmitted impressions and assessments of and about Max. This represents a strict limitation of the communication with Max. Actually Max has the right for a weekly ‘open’ visiting day as well as a ‘closed’ visit by his family members on application. On top of that he can submit a list of three friends who are then allowed to visit him. The processing of this request can take up to 60 days and it seems that the prison administration is willing to exploit this period. Moreover, as Max and his family members are foreign citizens, the petition to be submitted for visits is every time much more detailed. The application must be approved before a visit can take place. His family has already submitted three such petitions for a visit on the ‘open’ visiting day – next Monday, two of which were handed in three weeks ago, and the most recent one a week ago. In other words, his family has not been able to see Max for more than a month. However, today the approv-al of the very first application arrived, meaning that his family meet him face-to-face next week. The remaining two applications are supposedly still “in process”. Attorney Murat Yılmaz told the solidarity campaign that this long duration is not normal and is not to be accepted. The processing of the applications of family members is a priority, for which the maximum processing period of 60 days is not valid. He thinks that “if the ministry wants, the right to visit is issued within an hour”. There must be constant pressure on Turkish authorities so that they act. The same goes for the trial: “If it is left to the prosecutor, he would probably deliver the indictment in a year”. Murat Yılmaz has asked the prosecutor three times about the state of the indictment until now. The response has apparently been the same: “The inquiries are ongoing”. Apart from the difficulties regarding communication and visits, Max is doing fine – given the circum-stances. He is staying in the same cell with Mithatcan Türetken. Yesterday, a third person joined them. They have a daily routine, which consists of a lot of sport and reading. They can order from the over-priced prison market weekly fruit, vegetables, sanitary products, writing materials and so forth. This is particularly important for Max as he is a vegan animal rights activist, and hence feeds himself exclusively through his private purchases from the prison market. Therefore we are calling for donation campaigns as the solidarity campaign #FreeMaxZirngast to make sure that Max’s expenditures in prison are covered. The dress code is strictly regimented – every person is allowed to have two sweaters, two shirts, two jog-ging pants, and so forth. Red, navy blue and military colors are prohibited. Each is allowed to have five books in Turkish, which are of course to be first reviewed in content by the prison administration. We learned from his attorney that Max was writing a diary as he was in Sincan-1. As he was being trans-ferred to Sincan-2, the diary was confiscated from him because the content was to be “reviewed”. Hence, he started a new diary in Sincan-2. As the solidarity campaign #FreeMaxZirngast we find the prison conditions of Max unbearable. Without even an indictment he is being treated so as if he were convicted. He is being held in a high-security pris-on just like a criminal threatening the state, who is to be isolated, cut off from the outside world. Max is a journalist and scientist, not a heavy criminal. He must immediately be allowed to work as journalist and scientist even in prison. It is hence essential that written correspondence be established. He must have access to his diaries and written notes. Otherwise he cannot work. Thus, we call on Turkish authorities to promptly establish proper and uninterrupted correspondence between Max and the outside world. We call on Turkish authorities to immediately and smoothly grant his family members the right to visit him. And finally we repeat our initial demand: Max Zirngast is to be released without delay!